We would like to take this opportunity to thank you for your continued, and loyal support. 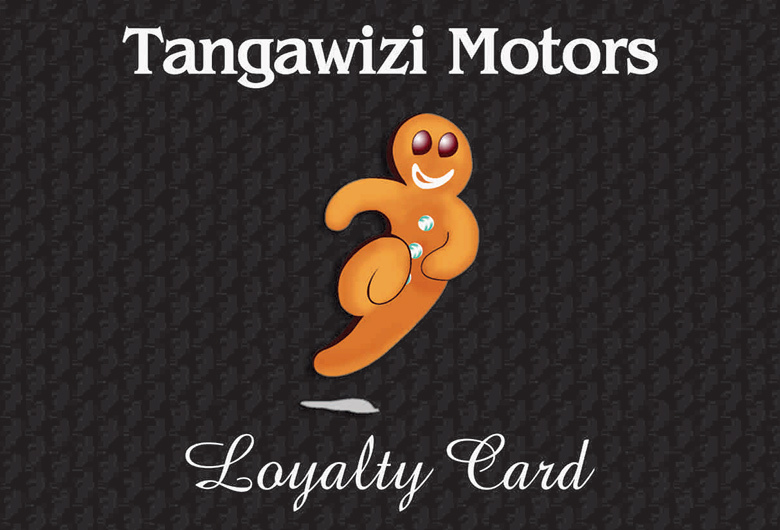 As a token of appreciation, we are gifting you with an exclusive Tangawizi Loyalty Card. This valued card will enhance your servicing and motoring experience with us by giving you the benefit of discounted labour rates for servicing, as well as discounts on genuine parts. It is of the utmost importance that your vehicle is serviced at regular intervals as per the manufacturer’s specifications. Which is why, with your vehicle being out of warranty, we want to ensure that your vehicle will be maintained by qualified technicians with genuine manufacturer parts - giving you peace of mind that your valued asset is in the best hands. You will also have the added benefit of having a full service history which will ensure that you get the best price for your vehicle when you are ready to trade in. This card entitles you to affordable quality service and repairs. It may be transferred to your immediate family and friends whose vehicles may be out of warranty.